Ignacio "Nacho" Figueras knows the importance of “always” having your partner by your side. 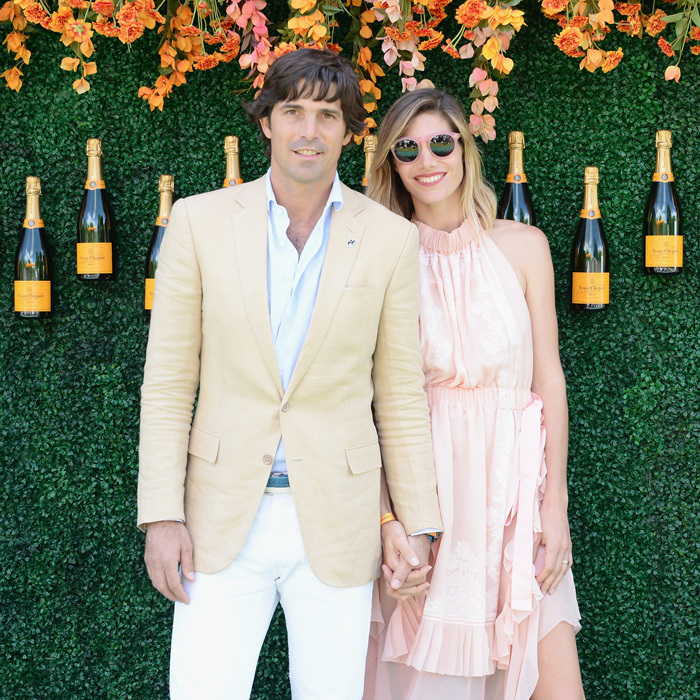 The polo champion saddled up alongside his wife Delfina Blaquier at the 10th annual Veuve Clicquot Polo Classic in New Jersey on Saturday, June 3 to support Liberty State Park and the non-profit organization Keep A Child Alive. The romance novelist, who is a friend of Princes William and Harry, opened up to HOLA! USA at the star-studded event about the secret to his long-lasting marriage and why he doesn’t give advice to his royal pals. “We never [take] anything for granted,” the father-of-four shared. “We work hard. We respect each other. We do a lot of things. We love each other. I don’t know.” While the international polo star does not believe he has the “right” to impart advice to his friends, he does approve of his royal pal’s new American girlfriend, Meghan Markle. “I can say that I’m very happy for him. If he’s happy, I’m happy. He’s a guy that I like very much and he deserves the best,” Nacho said, while noting that Harry looks happy these days. The 40-year-old, who is an ambassador for the royal’s Sentebale charity — which provides support for vulnerable children affected by HIV/AIDS in Lesotho and Botswana — has played alongside the Queen’s grandson on a number of occasions, including the 2016 Sentebale Royal Salute Polo Cup, where Harry bested the Argentine athlete.